Your guide quietly directs the boat into the reeds; you wait there, motionless. An elephant mum wades through the water, coming closer and closer. She stares at you, and then turns around to play with her family in the river. At Elephant Valley Lodge, be prepared for some close encounters with wildlife. This area is home to the largest wild elephant population in the world, estimated at 140,000 individuals. 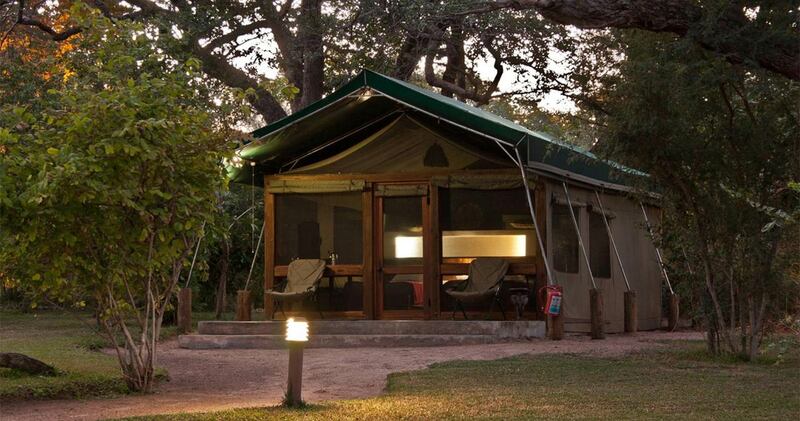 The tented safari camp lies within the Kasane Forest Reserve extension of the Chobe National Park in Botswana. Sturdy acacias reach high above the camp, forming large canopies of shade, under which you will find custom-built meru-style luxury safari tents. The entire camp breathes an African ambiance; authentic tents, lampshades made of calabash, big tree branches that appear to shelter you. Given the ubiquity of elephant in this wildlife sanctuary, the camp is fenced for ensured safety (and some peace of mind). 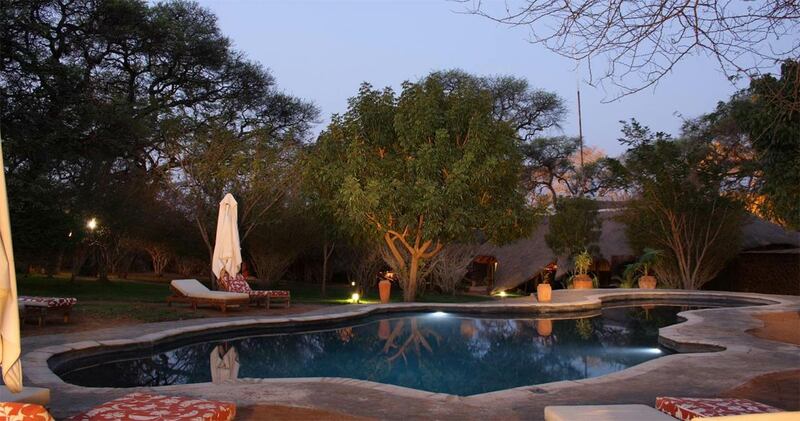 The lodge overlooks a well-attended water hole, a very bustling place during ‘rush hour’. Enjoy exceptional views in the early mornings, while lunch is served or during dinner: you will see giraffes, buffaloes, lions, elephants (of course), hippos, crocodiles – the list is endless. The same can be said about the hospitality at this camp: more hospitable places are few and far between. Elephant Valley Lodge consists of twenty meru-style tents ensuring an authentic safari experience. Tents are spread through the forest or along the edge of the valley, so you can hear the multitude of nightly sounds as you drift away. 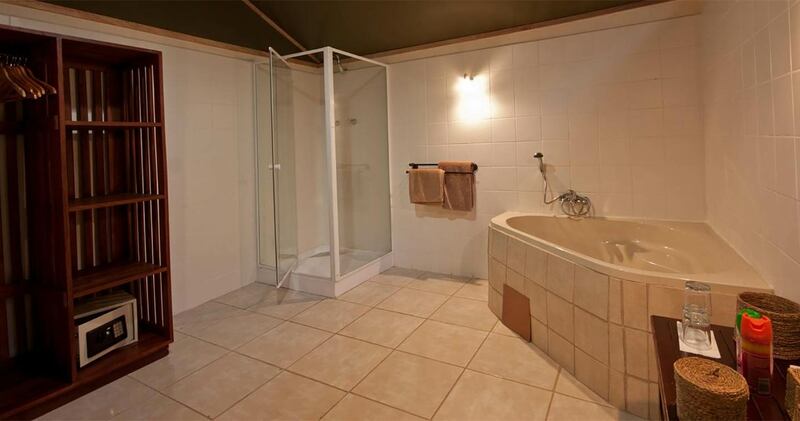 Features include en-suite bathrooms with a shower and toilet, twin beds, fan, tea and coffee facilities and a private covered deck. The main lodge area is large, open-sided and under thatch. Enjoy breakfasts and lunch buffets in the comfortable lounge or covered dining area. A great chance to meet with other couples and families, comparing experiences while indulging in amazing homemade bread, fresh salads and cheesecake for dessert. Evenings are for outdoor dining on the deck or in the boma. After dinner, you might feel like venturing out to the game viewing hide at the water hole (bring your binoculars) to witness wildlife preparing for the night to come. Something else than switching on the television, isn’t it? For those who need some more unwinding: the swimming pool with comfortable sun loungers will be just the place for you. Spot satiated lions, lying with their pawns up in the air after a recent food feast, or a leopard dragging a fresh kill high up in a tree. Elephants, giraffes, wild dogs, buffalo, kudu, wart hogs, impala, sable antelopes, pythons, hippos, crocodiles, fish eagles, ground hornbill – do we need to go on? An unusual quantity of wildlife is what this area is known for, so start ticking animals off your viewing list. A day at the Elephant Valley Lodge often starts with a morning game drive (hot coffee and warm ponchos provided). River cruises are usually in the afternoon, but can also be scheduled in the morning, depending on weather conditions and your guide’s daily assessment of when is the best time. 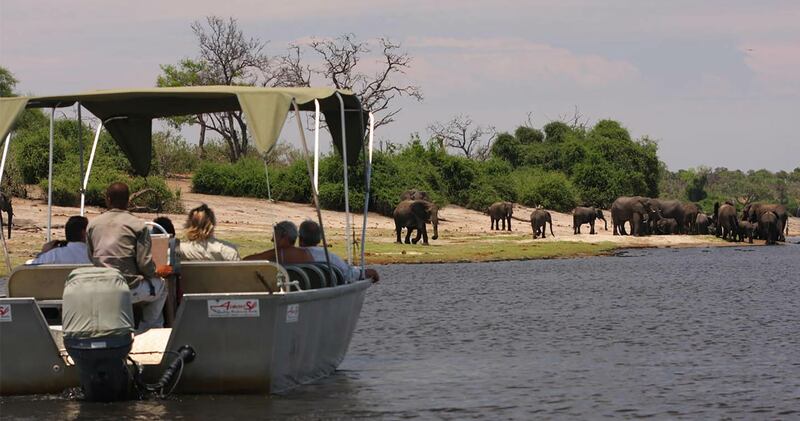 You will find that both game drives and boat trips really complement each other when it comes to wildlife viewing. Besides morning and evening game activities, this lodge also offers excursions to one of the seven world wonders: the Victoria Falls, only a couple of hours away. Trackers and guides at this camp have knowledge of animal behaviour that is hard to grasp, simply top-notch. Augmented by great management, amazing cooking and a warm staff, this place is a secret sanctuary. Lovely place to relax AND do some wildlife viewing at the same time. The tents are comfortable and it is wonderfully quiet, if you ignore the odd squirrel swearing at a lizard. There is a reasonably big pool for day time relaxation and the only noise at night comes from roaring lions and possibly elephants at the water hole which has lights 24/7, so you can always go down and check. 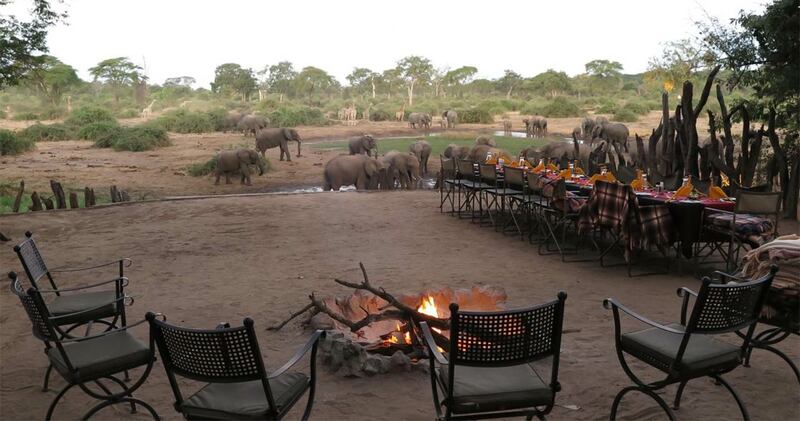 Sitting at your dinner table in the boma overlooking the waterhole is an incredible experience. Staff is well trained and super friendly. We stayed for 2 nights and had an amazing time. The accommodation was exceptional and the views of the water hole were breathtaking. Watching elephants, giraffes, buffalo, impala and many more around the water hole every evening while having an evening meal is quite unforgettable. The river trip on the Chobe river with Dan was great - and we were so close to the crocs and hippos! Thank you Dan for making this a truly wonderful experience - it wouldn't have been the same without you. The chefs at Elephant Valley Lodge will announce their dinner menu every night, often welcomed by a hearty applause from ‘the audience’. 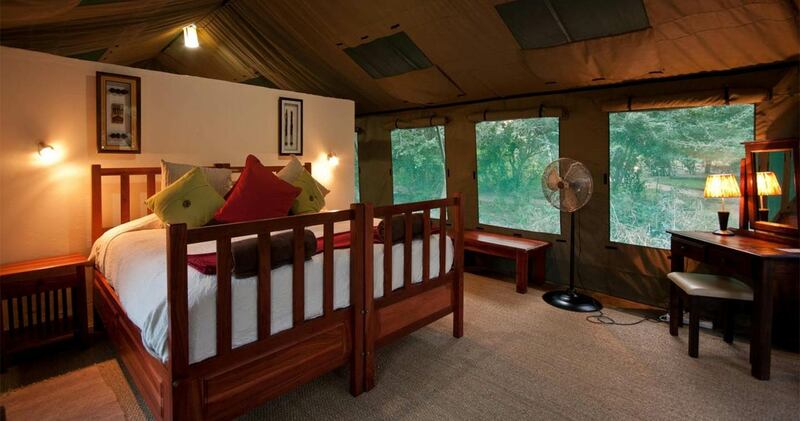 Please note: Indicated price is for a 'Forest Tent', which is the most basic room available at Elephant Valley Lodge. A single supplement may be applicable. Read all about travelling to Elephant Valley Lodge on our getting to Chobe page. Children are considered to be under the age of 12, and child rate applies when sharing with two adults. Children under the age of 6 are not permitted on game drives / boat cruises. Children between 6 and 12 years are permitted at the sole discretion of the guide. Whilst every effort is made to accommodate children, Elephant Valley Lodge reserves the right to provide alternative meal arrangements for children. We hope you have found all information needed to decide that Elephant Valley Lodge in Chobe National Park is the perfect place for your next travel adventure. Please fill in the contact form and we will get back to you soon!